FPNA stands for Floatplanes and Amphibians and they're into water flying, as the name implies. However, they also build an increasingly popular landplane called the Valor. Put that on their own straight or amphibious float system and you have the Cape Town. Land or sea, the A-22 model is a fun flying machine with terrific visibility. FPNA stands for Floatplanes and Amphibians and they’re into water flying, as the name implies. However, they also build an increasingly popular landplane called the Valor. Put that on their own straight or amphibious float system and you have the Cape Town. Land or sea, the A-22 model is a fun flying machine with terrific visibility. Capetown RacingLight-sport floatplane that's a joy to fly America has far more lakes than airports. By itself, my home state of Minnesota has more lakes than the entire nation has airports. Given this 50:1 advantage, floatplanes or seaplanes make a lot of sense; there are many places you can land, plus you can reach interesting locations you never considered in a land plane. Lucky me. I've gotten to fly lots of light floatplanes and I get a huge smile on my face every time I launch from water or splash down in a lake. The sensation has no match in landplanes. Once you've flown a floatplane, you'll forever look at flying through a new lens. Imagine flying a mere wingspan above the water, safely|hopping over small islands and zooming down to the water's surface on the far side, always landing directly into the wind, taxiing up to a dock or beaching on the sand or stopping to do a little fishing while standing on one float. Let me put a finer point on it: If you haven't tried float flying before, you're missing out on one of the truly fun things to do with an aircraft. Two drawbacks to floatplanes are price-water-capable airplanes can easily cost more than your house-plus some loss of performance or carrying capacity. However, consider light-sport floatplanes and amphibians. They dramatically lower the price point, and some perform as well as their water-averse landplane counterparts in the LSA fleet. Assuming you take the bait, where might you go to find the LSA float-plane experience? Who's Got The Floatplane? 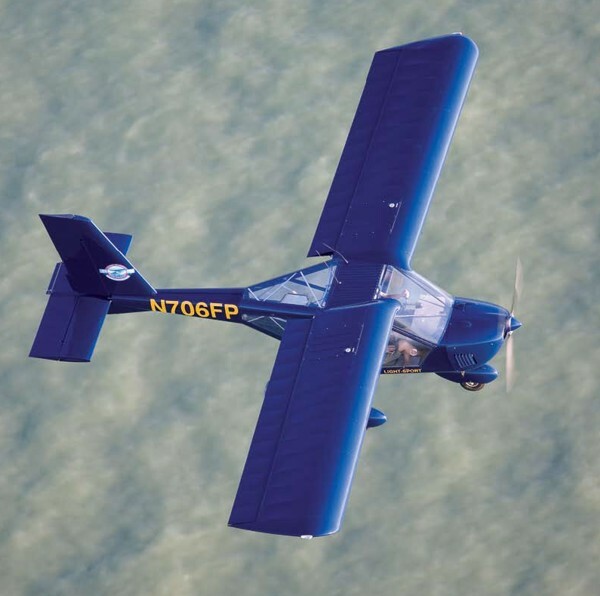 Based in Sebring, Fla., Float Planes and Amphibs (FPNA, www.fpna.com) is an amazingly versatile light-aviation organization. They cater to floatplane enthusiasts, but the company represents a wide range of light-sport aircraft, including powered parachutes and trikes. Plus, they do training in multiple locations. 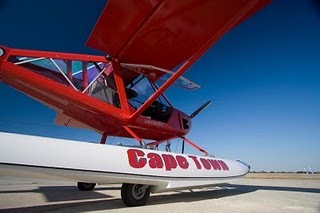 FPNA's Capetown floatplane can be purchased for less than a hundred grand. That's the base price, and you'll surely find some accessories irresistible. Yet floats alone for larger GA airplanes can exceed that cost. The Capetown is the FPNA variation of the Aeroprakt A-22, the original design from Ukraine. It's distinctive on any ramp because of what appear to be acres of window, mostly clear, bubbled-out doors and a large skylight. Plus the fuselage aft of the cockpit is see-through. If you prefer to be surrounded by thin sheets of aluminum, the Capetown may not be your airplane. But if you like sightseeing from aloft, few airplanes hold a candle to the Capetown. The A-22 was originally created in Ukraine by engineers trained at onetime-Communist airplane behemoth, Antonov. Aeroprakt's youthful chief designer, Yuri Yakovlev, went from working on the largest airplanes on the planet to some of the smallest. The Capetown's composite Waterborne Floats were designed and built by FPNA in Sebring and married to an A-22 that had been strategically beefed up to take the punishment that water operations experience. Using their own business model and introducing modifications for the American LSA market, FPNA receives some assemblies from Ukraine and builds other major components like the wings and float system. After this integration, FPNA is considered the manufacturer of the Capetown. FPNA's Capetown is an all-metal airframe with Ceconite-fabric-covered control surfaces. Its cowls and wingtips are composite. The Capetown's floats are composite with machined aluminum amphibious gear. 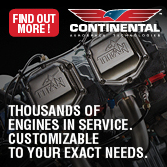 As with the majority of light-sport aircraft, the Capetown is powered by the liquid-cooled, four-stroke, 100 hp Rotax 912. 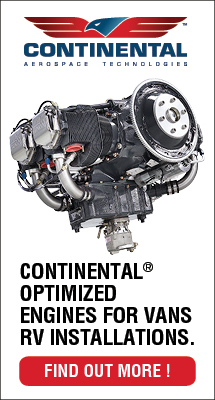 Now with a 2,000-hour TBO, Rotax engines have achieved an enviable reputation for reliability. The sensation has no match in landplanes. Once you've flown a floatplane, you'll forever look at flying through a new lens. The Capetown-like its wheeled sibling, the Valor (FPNA's rebranded version of the A-22)-offers more than massive visibility. Both versions boast one of the largest cockpits in all of light aviation at better than 50 inches wide, 10 inches wider than a Cessna 172. Behind adjustable side-by-side seats, you'll find a fabric baggage pouch that will let you stow some fishing gear and an overnight bag or two. As in other light-sport designs, the Capetown and Valor use full-span ailerons, often referred to as flaperons because they offer 10- or 20-degree "droop" positions while still serving their function as ailerons. My experience with the Capetown revealed responsive slow-speed handling and benign stall characteristics. Low takeoff speeds are great for water-based operations, and handling was fluid if not fast. I prefer a joystick, but the Capetown's standard yoke control will be quickly familiar to most GA pilots. An optional center stick can be ordered for those who share my preference. The Valor's and Capetown's flap levers are centrally placed overhead. The Capetown is available as a ready-to-fly aircraft that can be used for commercial flight training or rental (S-LSA), or as a quick-build kit (E-LSA). Photo Mission I first flew the A-22 with designer Yuri Yakovlev in Ukraine in 2003 before light-sport was even a term. Back in the U.S., I got a chance in the land version in 2007, and since then, I added an hour or so in the amphibious Capetown. Just recalling the experience triggers another smile. On James Lawrence's air-to-air photo mission, I went aloft with FPNA proprietor Shawn Okun in the target Capetown amphib. Shawn did the initial flying while each of the formation pilots eased into his role. After the flock found the groove, I had a chance to take the controls. Water launches can be hard on airplanes. That's why you see extra bracing in GA planes modified for floats. The Capetown, however, starts flying at such a low speed (below 40 knots) that the abuse is much reduced-though the Capetown does sport a few added braces. That slow-speed launch also speaks to the Capetown's cooperative maneuverability at slow speeds aloft. It's truly a joy at 45 knots where low-level flying is such a kick. It managed 87 mph upwind and 118 mph downwind for an average groundspeed of 103 mph or 90 knots. Even when it had the amphib gear and floats, the Capetown could be seen climbing at a sustained 700 feet per minute. The airplane's full-span flaperons work well. In the wheel-equipped Valor, I timed a snappy two and a half seconds in a 45-to-45-degree roll-reversal exercise. The low-slung weight of Capetown's amphib gear slows that a little, but it still qualifies as responsive. And, as a side benefit, the low-down weight helps Capetown feel even more stable in bumpy air. Adverse yaw was almost nonexistent, giving only a slight hesitation before turning the direction as controlled. The Capetown or Valor will handle by control yoke only-that is, without rudder pedal input-readily, almost like a two-control design. Power-off stall with the yoke full aft came at around 40 mph indicated, or barely 35 knots. In the stall, I experienced very little altitude loss and there was no tendency to break sharply toward the nose. If you're an open-cockpit enthusiast, you'll love the A-22 because the Valor or Capetown can be flown with the doors completely removed. It might cost you 10 mph in cruise, but the feeling is one of air-in-your-hair freedom. Try that in your Bonanza! The doors quickly detach from hinges at the top of the door. Setting You Back To Set You Up If I've convinced you to give floatplanes a try, you'll see the attraction. You can choose a new type-certified airplane on floats (if you've got bigger bucks), a used TC'd floatplane (still loads of cash) or a brand-new float-equipped LSA. FPNA quoted the Capetown at $99,500 in summer 2010. At that figure, this is a great value in a brand-new floatplane you could rent out or use for paid instruction. Factoring in some gear you'll probably want, I suggest an ELT ($375); a Mode C transponder ($2,575, not always needed for float flying); a Dynon D-180 EFIS with all engine monitors ($4,760); a Garmin SL30 radio ($4,375); and a Garmin GPSmap ($2,496 with panel-mount dock) for a grand sum of $114,480, plus plan on some shipping and registration costs. This represents good value for a brand-new amphibian, but if it still sounds beyond your budget, ask FPNA about their Experimental LSA kit; you do some work and save a few dollars. With 10,000 airports and 50 times that many landable lakes, you're bound to generate a smile of your own stretching as wide as the horizon. Notes: 1 At bubble door's widest point. 3 Optional fuel tanks raise total on board to 33.9 gallons. 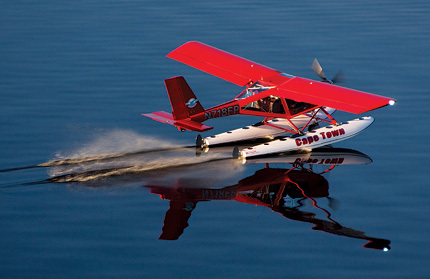 Capetown RacingLight-sport floatplane that’s a joy to fly America has far more lakes than airports. By itself, my home state of Minnesota has more lakes than the entire nation has airports. Given this 50:1 advantage, floatplanes or seaplanes make a lot of sense; there are many places you can land, plus you can reach interesting locations you never considered in a land plane. Lucky me. I’ve gotten to fly lots of light floatplanes and I get a huge smile on my face every time I launch from water or splash down in a lake. The sensation has no match in landplanes. Once you’ve flown a floatplane, you’ll forever look at flying through a new lens. Imagine flying a mere wingspan above the water, safely|hopping over small islands and zooming down to the water’s surface on the far side, always landing directly into the wind, taxiing up to a dock or beaching on the sand or stopping to do a little fishing while standing on one float. Just kidding about the dutch roll. It's a play on an old movie: With Six You Get Egg Roll, about complications that come with a blended family. *** But the "three" is legit, and refers to the three LSA training centers operated by Shawn Okun in Florida. *** Shawn's blended family is called FPNA (FPNA = Float Planes aNd Amphibians) and is worthy of mention as an LSA force in its own right. *** FPNA, as the acronym implies, imports, manufactures, sells and teaches in land and water-launched SLSA, (floaty-foot Capetown shown here) and also sells floats, Experimental LSA kits and generally has a good time with used aircraft, weight-shift trikes and powered parachutes. *** If you're looking to get your land or water wings, don't overlook this outfit: they have three locations - Clearwater, Sebastian and Palm Harbor in addition to the HQ in Sebring. 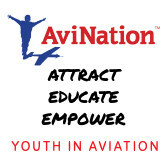 *** One -- Clearwater -- is even a FAA part 141-certified flight school with SEVIS credentials (allows foreign nationals to train in the U.S.) Students can go from Light Sport to ATP (Airline Transport Pilot)! Talk about one-stop shopping. *** Check out their website: Shawn's a bright and enterprising guy who's got a lot of ways for you to have fun in the air, whether you launch from the tarmac or use duck feet to get your air. Just kidding about the dutch roll. It’s a play on an old movie: With Six You Get Egg Roll, about complications that come with a blended family. *** But the “three” is legit, and refers to the three LSA training centers operated by Shawn Okun in Florida. *** Shawn’s blended family is called FPNA (FPNA = Float Planes aNd Amphibians) and is worthy of mention as an LSA force in its own right. *** FPNA, as the acronym implies, imports, manufactures, sells and teaches in land and water-launched SLSA, (floaty-foot Capetown shown here) and also sells floats, Experimental LSA kits and generally has a good time with used aircraft, weight-shift trikes and powered parachutes. *** If you’re looking to get your land or water wings, don’t overlook this outfit: they have three locations – Clearwater, Sebastian and Palm Harbor in addition to the HQ in Sebring. *** One — Clearwater — is even a FAA part 141-certified flight school with SEVIS credentials (allows foreign nationals to train in the U.S.) Students can go from Light Sport to ATP (Airline Transport Pilot)! Talk about one-stop shopping. An all-volunteer crew -- no one draws a salary to produce Expo -- does a terrific job of preparing the Sebring airport. Steady crowds got to view several new aircraft offerings such as this FPNA Valor A-22 Capetown with newly-approved amphib floats. Mornings start cool until the sun warms the day to shirtsleeve temperatures. Crowds are thick around popular displays and the action is surprisingly hot. For this first-of-the-year show following a dismal 2008, many wondered about attendance and if those visitors would be in a buying mood. The answers: pilots are streaming in and sales are happening! *** At the LAMA Dinner with 300 LSA professionals listening, Sebring U.S. 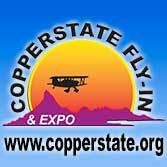 Sport Aviation Expo Chairman Bob Wood reported, "This is the best [opening day] Thursday we've had in the five years of Expo." Vendors largely agreed, saying crowds were good, even heavy at times. Several reported aircraft sales on the first day. According to my visits to many airframe manufacturers or importers a sense of improvement is pervasive. This is a cautious optimism to be sure, but it's a clear change from the gloom of the last few months. *** On Friday, airport ramps and taxiways were well populated with aircraft that flew in to examine the aircraft and other products on display. And as evidence of the growing importance of the Sebring LSA Expo, media events appeared well attended by writers, photographers, and video producers. Many exhibitors say Sebring has become an important selling show comparable to much larger events. Mornings start cool until the sun warms the day to shirtsleeve temperatures. Crowds are thick around popular displays and the action is surprisingly hot. For this first-of-the-year show following a dismal 2008, many wondered about attendance and if those visitors would be in a buying mood. The answers: pilots are streaming in and sales are happening! *** At the LAMA Dinner with 300 LSA professionals listening, Sebring U.S. 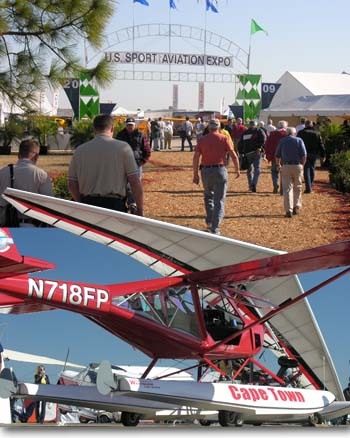 Sport Aviation Expo Chairman Bob Wood reported, “This is the best [opening day] Thursday we’ve had in the five years of Expo.” Vendors largely agreed, saying crowds were good, even heavy at times. Several reported aircraft sales on the first day. According to my visits to many airframe manufacturers or importers a sense of improvement is pervasive. This is a cautious optimism to be sure, but it’s a clear change from the gloom of the last few months. 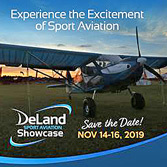 *** On Friday, airport ramps and taxiways were well populated with aircraft that flew in to examine the aircraft and other products on display. Visibility is tops in the A-22 Valor, with lots of glass surrounding the pilot and passenger forward, aft, to the side and above. The A-22 Valor can be flown with the doors on or off, though you'll lose 10 mph in cruise with the doors offs. They are easily detached from hinges at the top of the door. While many like panel-mounted yokes because they make entry and egress easier, this arrangement in the Valor leaves nowhere to rest your arm in flight. An optional center stick with a Y handle eliminates that problem. Overall, the panel layout is neat and well organized. At 52 inches wide at its widest point, the A-22 Valor's cabin is one of the roomiest in the S-LSA industry. Handy headset holders are located above the side-by-side seats. A baggage compartment behind the seats can hold up to 44 pounds. 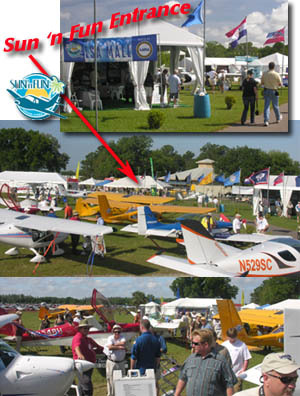 Float Planes and Amphibs is located on Sebring Regional Airport, Sebring, Florida. The company sells powered parachutes and weight-shift trikes in addition to its fixedwing line and also offers instruction in all three categories. (Note: FPNA does not distribute the two aircraft parked in front of the company's ramp-side doors in this photo.) For more information visit www.FPNA.com. The tri-gear sits low to the ground, making entry and egress easier. Responsive nosewheel steering and differential brakes make the aircraft easy to maneuver on the ground. Ukraine Design Meets Florida Know-How Early in the new millennium, I took a trip to Kiev, Ukraine. My mission was to visit two companies producing aircraft for what was to become the light-sport aircraft segment. I didn't know then that the A-22 I flew with designer Yuri Yakovlev would become a U.S.-assembled special light-sport aircraft (S-LSA). Before the fall of the Berlin Wall in 1989, Americans hardly knew Ukraine, a large and diverse country with a rich aviation heritage that once employed lots of skilled aviation workers and engineers building large transport aircraft and fighters. Ukrainians spent decades toiling for the Soviet state, and most speak Russian today despite having an indigenous Ukrainian language. Antonov, an aerospace name Americans have come to know, had a massive Ukraine operation under the Soviet leadership. When the communists withdrew, tens of thousands of experienced technicians and engineers found themselves out of work. A few ended up building little airplanes to earn a living. Thus was born Aeroprakt, a company started by young entrepreneurs (a daring concept in a post-communist nation) with some Arabian investment. This is where the story gets interesting. Ukrainian Creative Rush Under Yuri's leadership, the company cranked out design upon design-variations on a theme some might say, yet revealing surprising diversity. An early entry was the A-22. After those many designs, it is the A-22 that remains Aeroprakt's focus today. Let's jet across the Atlantic back to Sebring, Florida, where Float Planes and Amphibs (FPNA) has its headquarters. The company specializes in float-equipped airplanes but sells plenty of landplanes, too. I flew a land version of the A-22 Valor. (Studies show that associating a word with a number makes a name easier to remember.) Showing me the ropes for the FPNA A-22 was Michael Westbrook, a general aviation pilot who said he likes the Valor for its maneuverability at slow speeds. Shawn Okun manages FPNA. The business entered the field with ready-to- go floatplanes and amphibians based on Quicksilver and other kits. It had creative financing and leasing options that were sophisticated beyond the reach of most sport aviation businesses. With his flair for marketing, Shawn soon put FPNA on the radar screen. As the SP/LSA rule became reality, FPNA followed the action into lightsport aircraft. Soon after, Shawn picked up the Aeroprakt line and began to Americanize it. Today, FPNA receives a painted airframe on wheels and completes the building, then covers the wings using metal to the outside of the fuel tank. [UPDATE late 2008: FNPA reports that only the empty hull and wings are supplied by the Aeroprakt factory. The balance of the A-22 Valor is assembled in Sebring. FPNA is the manufacturer of record withthe FAA.] Outside of this range, the wings are fabric-covered, as are all control surfaces, though Shawn says FPNA is working on metal skins for the top of the wings. Fuselage and fixed tailplane components are metal-covered, though a large part of the aircraft around the cockpit is clear plastic. The A-22's fuel tanks are composite. Next FPNA adds wiring and plumbing, outfits the interior, installs avionics, prepares the engine, and completes the certification documentation, test-flying, and preparation for customer delivery. That's not vastly different from what Boeing does. Valor Details The wing tanks sit about half a bay out from the wing/fuselage junction and hold 12 gallons per side, for a total of 23.5 usable, said Michael. A-22 Valor ailerons are flaperons running the full span of the wing and drooping down to 10 and 20 degrees. At such small deflection numbers-yet they have good effect-the loss of aileron throw from flap travel is minimal. Trim is located just to the right of the center console. Approximately in the middle is neutral; there is no other indicator of position. Fixing the flow of hydraulic fluid via a small lever sets a parking brake. You can either pump up the brake fluid level by actuating the brakes and then setting the flow lever or set the lever first. A lever under the left seat looked like a fuel shut-off. Instead, it is a battery isolator. Flipping the lever shuts off all electrical power and the lever itself can be removed. This creates a "dead" airplane, which is perfect when you allow other people to sit in your airplane, such as at air shows, without supervision. With a different appearance and feel than the battery isolator switch, the dual fuel shut-off handles resemble lever arms. In the vertical position, you are good to fly. In the horizontal, fuel is shut off. Michael said that at the widest point of the bubble door the Valor's cockpit measures 52 inches laterally. This gives it one of the widest cockpits in light-sport aviation. Regardless of the figure, the Valor felt spacious for two average-sized people. We literally had elbow room on each side. I love to repeat this benchmark cabin width value: A Cessna 172 Skyhawk has a cabin width of 39.5 inches, according to Cessna's website. The A-22 Valor is more than 12 inches wider. I love that the doors remove easily -- it's the ultralight pilot in me -- and that you can fly with them off. Michael admitted you lose about 10 mph when you do this, but he also enjoys flying with the doors off. They come off via two pins at the top hinge point: substantial but easily removed. A clip secures the base of the door's hydraulic lift piston. All three components can be removed in minutes and you can then remove the door. Entry to the Valor turned out to be easy; just turn around and sit down. I found it a long reach to close the gullwing door, pulling it by its frame, but soon both doors were latched securely. The single-point door latch has access inside and outside. The inner latch is curved, apparently to avoid catching clothing on it. The Valor offers a convenient hang point for your headset just aft of each occupant. Headsets plug into a housing that covers the overhead flap lever linkage. This location is easily reached and will largely keep wires away from control levers. The location of the Valor's yoke left my arm dangling in the air with no arm support, a common problem that yoke designs present compared to joysticks. FPNA plans to alter this situation but, in the meantime, another solution comes from a choice of either dual yokes or a center stick with Y controller and Y brake handle. The Y stick option effectively fixes the armrest problem. Aft of the seats, each of which has four-point seat belts, a zipper-closed compartment can hold 44 pounds of luggage. Flying With Valor As we taxied for takeoff at South Lakeland Airport I found the nose wheel steering to be quite responsive. Linked directly to the rudder pedals by pushrods, the nose wheel can easily turn the A-22 inside a wingspan if you bear hard on the rudder pedal. Differential steering by brakes is hardly necessary given the high level of taxi maneuverability. At the end of the runway, I also discovered the parking brake would hold very well during an engine runup at 3500 rpm. Now we were ready to go aloft. Michael estimated takeoff roll at about 300 feet. I didn't get a chance to step off the distance, but the Valor certainly executed a brief ground roll. Rotation comes at about 40 mph indicated, and at that speed it flies off the deck with minimal control effort. Landings also proved simple. My initial approach was done at about 80 mph, then slowing to 70 mph on final. Over the runway, I slowed further to 60 mph and then worked gradually to a full-stall flare. Should you flare so deeply that you could touch a tailskid, you do have options: Aeroprakt half-buried a small rear wheel under the tailplane. "It's very light on the nose wheel, enabling it to land and take off much like a taildragger, without all the fancy footwork," Shawn said. He added that the Valor also works well on unimproved strips. Indeed, all my landings, done at 0, 10, and 20 degrees, went well. On one landing, I got slow while still a bit higher than optimal, but the aircraft graciously handled my plop on the tarmac. This reinforces the instruction mission of the Valor. Valor's trim control was responsive, though I did not find as much nose-up as I might have preferred for slow flight. Of course, trim can be adjusted to suit personal taste. In slow flight I got very slow, less than 40 mph indicated, and the Valor made me feel like I was still comfortably above stall. Controls remained effective, although the rudder got softer at this speed and more input was needed to accomplish control. The airplane's full-span flaperons are generously responsive. I measured about two seconds in the 45- to-45-degree roll reversal exercise. This is faster than most airplanes in the LSA category. Balancing the yoke imparted additional feedback at first control input, then it continued a good feel such that the roll rate was easily controlled. These qualities combine to make for reduced pilot workload on a cross-country flight, yet leave plenty of authority for a crosswind landing, for example. High-speed runs were done at maximum power of 5400 rpm-at which setting the engine management system was giving us some caution about overrunning the engine. Nonetheless, the Valor managed 92 mph upwind and 122 mph downwind for an average groundspeed of 107 mph. This was done at 2,000 feet mean sea level (MSL) with a ground temperature of 80 degrees. At altitude on a cooler day, you might easily manage 110 to 115, I estimated, and that's even better than FPNA states on its website. Also, my experience was with an 80-hp Rotax. 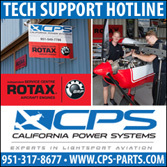 If you select the 100-hp Rotax 912S, your speeds will probably increase slightly. Climb rate was a bit less than factory figures at about 800 fpm. This was with the standard 80-hp Rotax 912 that some prefer, as it works the engine less hard and can use lower-priced regular auto gas. The Valor's sink rate appeared to be slightly higher than some other LSA, and usually glide performance is not strong if the sink rate is higher. Steep turns at 45 to 60 degrees of bank with power set in the high 4000 rpm range went very well with little effort needed to maintain altitude through 720 degrees of turn. Checking the Valor's stability profile, I stalled with the flaps down at the 20-degree down position, the most available. I saw stall at 28 mph indicated. With flaps retracted, stall came at about 35 mph indicated. These are certainly low values, and airspeed indicators are notoriously unreliable at such speeds, but it was nonetheless obvious from wind noise and ground movement that the Valor stalls very slowly. Power-off stall with the yoke full aft came at around 40 mph indicated. I experienced very little altitude loss and no tendency to break noseforward. Only a bit of wandering at incipient stall forecast the stall. Not one stall exhibited any break over. In each case, the yoke made a slight lateral wiggle to suggest stall was approaching. I performed poweron stalls at 5000 rpm and accelerated stalls in each direction at 35 to 40 degrees of bank. On one accelerated stall to the right, I observed a slight movement and muted noise from the extensive clear plastic surrounding the cockpit. On one stall I kept the stick full aft and continued to be able to turn the airplane almost the same as at normal flying speeds. Adverse yaw was almost nonexistent, giving only a slight hesitation before turning the direction as controlled. The Valor will handle by control yoke only (no rudder pedal input) very readily, almost as good as a two-control design. In the longitudinal stability check, with a rearward tug of the stick from trimmed flight, I found a single oscillation (one upward and one downward movement) before returning to near neutral. I discovered essentially the same response from a stick-forward disturbance. When evaluating throttle response, I retarded the power from trim and the nose lowered reasonably and then stayed in that position; it did not return to neutral. With a power addition, the nose went up just as it should. Valorous Purchase? I strive to write a balanced article with positives and negatives, but it was difficult to find fault with the Valor. The lack of return to level flight after power adjustment and lack of an armrest for your yoke arm are about all I can find. Some folks won't care for the plastic covering all around them, as it might make them feel vulnerable. I didn't have a problem with it, but pilots make their own judgments. Flying an A-22 Valor will likely put most concerns to rest, and I feel sure you'd enjoy the flight. Overall, the Valor provided a satisfying experience that may please many pilots, except for those seeking the maximum performance for the category. I did not independently measure the interior so I cannot verify the 52-inch claim, but it certainly felt spacious for two average-sized persons. 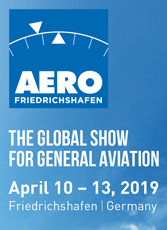 FPNA reports 250 Valors are currently flying in the United States, Canada, Germany, United Kingdom, France, Spain, Italy, Ukraine, United Arab Emirates, Australia, and several other countries. Only a dozen are registered in the United States, but that number seems likely to grow. Certainly FPNA's American representation can settle uncertain minds about buying a product from faraway Ukraine. [Update: FPNA reports doing nearly all the building in Florida by late 2008.] If the S-LSA prices are still beyond your budget, FPNA indicated it would pursue an E-LSA kit so that owners could do their own maintenance. This may also offer some reduction in purchase price in exchange for doing some building. 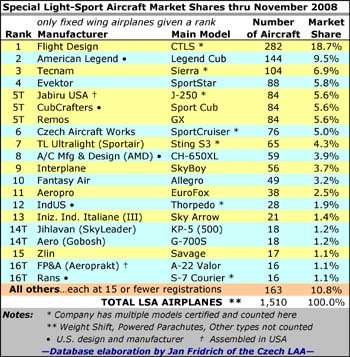 But for now, let's talk cost of the S-LSA models. FPNA sells a series of four equipment packages for the A- 22 Valor. A basic A-22, which could deliver loads of enjoyable flying, costs about $80,000. 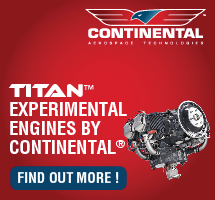 If you accept that most homebuilt airframe kits in the A-22's category with Rotax engine, basic instruments, radio, transponder, and finish paint and interior could easily run $40,000 to 50,000, then $80,000 for a finished, ready-to-fly, certificated airplane that can be used commercially for flight instruction and rental is a fair bargain in today's world. It's closer to the price people expected for LSA when the rule was announced in 2004. FPNA packages the A-22 in four baseline configurations, each more elaborately equipped (and intriguingly named) than the last. The line starts with the day VFR Bristol basic package for $79,999 with the 80-hp 912, basic gauges, Grand Rapids engine information system (EIS) or equivalent, emergency locator transmitter, taxi and landing lights, interior finishing, and choice of paint. 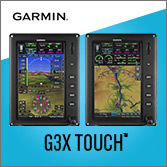 One notch up is the advanced day-and-night Sebring package for $99,999, which adds interior lighting; navigation and strobe wingtip lights; Dynon D-180 electronic flight instrument system (EFIS) with outside air temperature, fuel flow, horizontal situation indicator software, and complete engine monitoring package; MicroAir radio; and MicroAir transponder with Mode C. If you want bigger-name brands, choose the day-and-night VFR Hampton package for $117,677, which adds the Garmin SL30, Grand Rapids EFIS and EIS, and artificial horizon. Finally, you can choose the amphibious, day VFR CapeTown for $120,243, which is essentially the Bristol basic with radio and transponder, but adds retractable amphibious landing gear and the FPNA waterborne amphibious float system. Given all these choices and the good behavior of the fun-to-fly A-22 Valor, I suspect FPNA will be able to sell all it can get [12/2008...or produce]. Ukraine Design Meets Florida Know-How Early in the new millennium, I took a trip to Kiev, Ukraine. 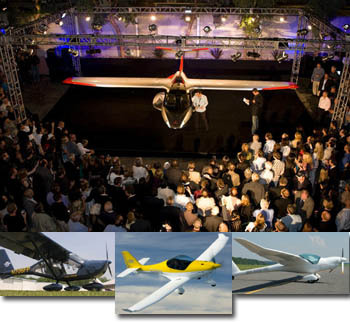 My mission was to visit two companies producing aircraft for what was to become the light-sport aircraft segment. I didn’t know then that the A-22 I flew with designer Yuri Yakovlev would become a U.S.-assembled special light-sport aircraft (S-LSA). Before the fall of the Berlin Wall in 1989, Americans hardly knew Ukraine, a large and diverse country with a rich aviation heritage that once employed lots of skilled aviation workers and engineers building large transport aircraft and fighters. Ukrainians spent decades toiling for the Soviet state, and most speak Russian today despite having an indigenous Ukrainian language. Antonov, an aerospace name Americans have come to know, had a massive Ukraine operation under the Soviet leadership. When the communists withdrew, tens of thousands of experienced technicians and engineers found themselves out of work. A few ended up building little airplanes to earn a living. Using see-through doors and aft fuselage plus a windscreen that extends overhead, A-22 is a visually open LSA. Read about Aeroprakt, the company, or read my A-20 report. I expect to fly and report on the A-22 soon. After I flew the A-20 and A-22 near Aeroprakt's Ukraine factory, I felt sure these designs would find their way to the U.S. market. 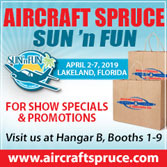 Now that Sebring-based Float Planes and Amphibs (FPNA) assumed import operations from Spectrum Aircraft, you can buy planes like the great-flying A-20 Vista or the tractor engine amphib A-24 Viking. 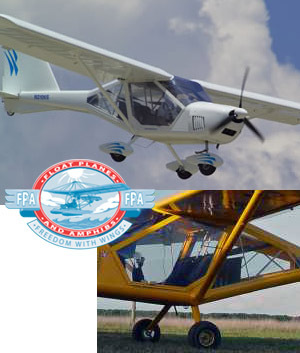 FPNA also builds an amphibious float system for trikes and sells other lines like Quicksilver ultralights and powered parachutes. *** But their newest achievement on March 31st, a couple weeks before Sun 'n Fun 2007, was SLSA approval for the A-22 Valor. FPNA is the manufacturer of this model, purchasing the fuselage and selected other components from designer Aeroprakt in Ukraine, but building 60% of the airplane themselves including wings, avionics and panel work, engine installation, plus all plumbing and electrical. FPNA owner Shawn Okun says the Orlando MIDO office gave their approval. Shawn also hired Jim Stephenson's SAFE organization to assist with SLSA compliance. After I flew the A-20 and A-22 near Aeroprakt’s Ukraine factory, I felt sure these designs would find their way to the U.S. market. Now that Sebring-based Float Planes and Amphibs (FPNA) assumed import operations from Spectrum Aircraft, you can buy planes like the great-flying A-20 Vista or the tractor engine amphib A-24 Viking. FPNA also builds an amphibious float system for trikes and sells other lines like Quicksilver ultralights and powered parachutes. *** But their newest achievement on March 31st, a couple weeks before Sun ‘n Fun 2007, was SLSA approval for the A-22 Valor. FPNA is the manufacturer of this model, purchasing the fuselage and selected other components from designer Aeroprakt in Ukraine, but building 60% of the airplane themselves including wings, avionics and panel work, engine installation, plus all plumbing and electrical. FPNA owner Shawn Okun says the Orlando MIDO office gave their approval.